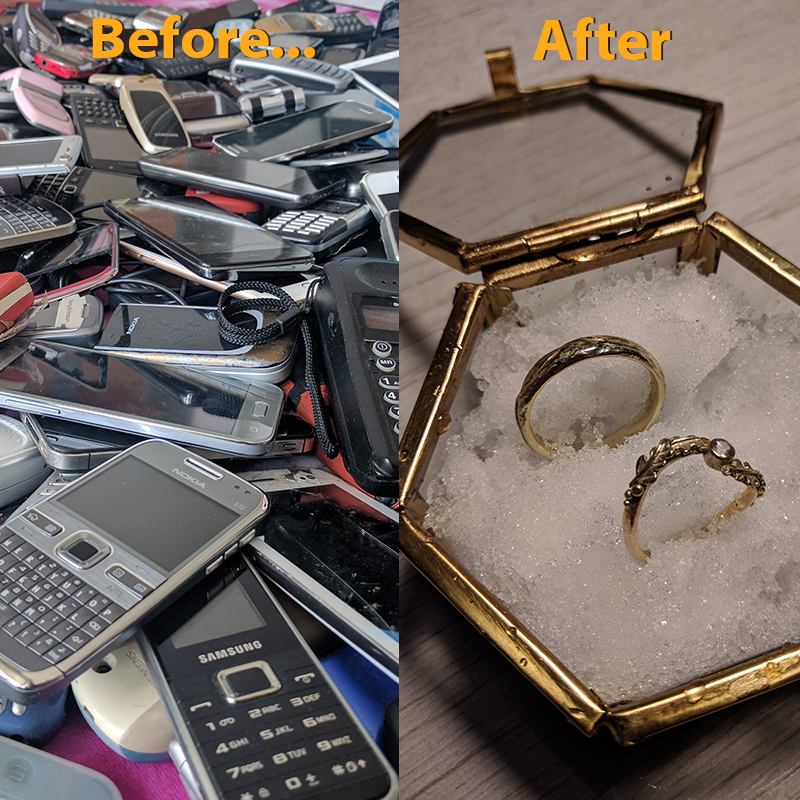 Over the past year, our communications manager Niels and his fiancé Mélisande collected more than 400 old mobile phones from friends, family and colleagues. The goal: to make circular wedding rings. It started as a crazy idea, but when people got very excited too and started handing in their old mobile phones the idea became more and more serious. Within a month already 100 phones where collected. At that point even national media in the Netherlands got interested. After about 6 months collection was finished. In the meantime, Niels found a goldsmith who started designing the rings and who buy the recycled gold from jewellery division of the recycling company. Now the wedding rings are finished and Niels and Mélisande are very happy with the result. The big day will be in May 2018.